Following years of living in an alcoholic fog, Joe becomes an upstanding member of society-but only after he experiences a trip through Hell itself. Teresa creates her own Hell in current day Los Angeles where she struggles with her past while trying to raise her teenage son. Am I in Heaven or Hell, Angel wonders, as she floats restlessly from cloud to cloud, finding herself in constant pursuit of an earthly Teresa and not knowing why. 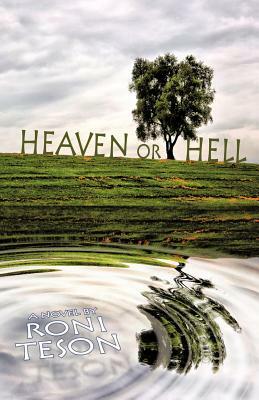 Heaven or Hell is a story of tragedy, loss, and a triumphant life-changing resurrection when the lives of Joe, Teresa, and Angel collide in this world and beyond. ..". A fascinating take on the afterlife we all will face...." -G. Miki Hayden, New York Times--lauded Edgar winner "Excellent handling of a dysfunctional family actually coming full circle..." -Victoria Christopher-Murray, author of Truth Be Told, Sinners & Saints, and many other titles "Roni Teson is a gifted storyteller who brings to life a hardened alcoholic with the same grace and honesty she applies in writing about an angel..." -Karen Coccioli, Author of The Yellow Braid "This was absolutely phenomenal I cried and figured the end would be heartbreaking, but I ended up smiling as I read it..." -Diana Cox, www.novelproofreading.com You can visit Roni on the web at www.roniteson.com.